What does vintage lighting consist of? In this article we take a look at the vintage light bulbs and its prominence today in the field of interior design. Whether it is in an old building or a contemporary home, there is no denying that lighting is a necessity, whatever your style preferences. Throughout the last decade or so, the use of vintage lighting has become more and more frequently used. The incorporation of vintage light bulbs creates an industrial, factory like ambiance which can be seen in the majority of the photos selected in this article. 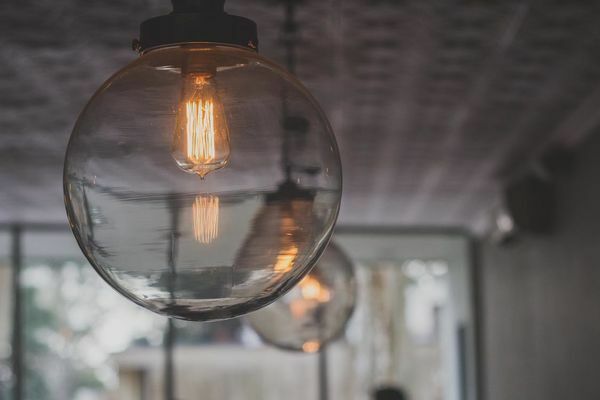 Read on to discover the origin of vintage lighting, what it consists of, how this is contrasted in modern design and its prominence in an industrial field. 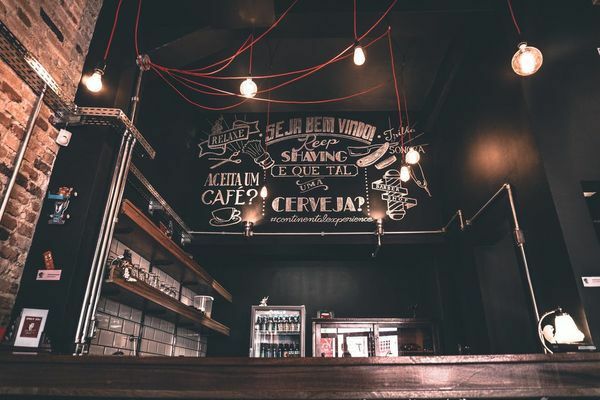 If you search for vintage lighting online or in any interior design catalogue, you will be confronted with industrial style lighting and, particularly, industrial filament bulbs and the incandescent light bulb. 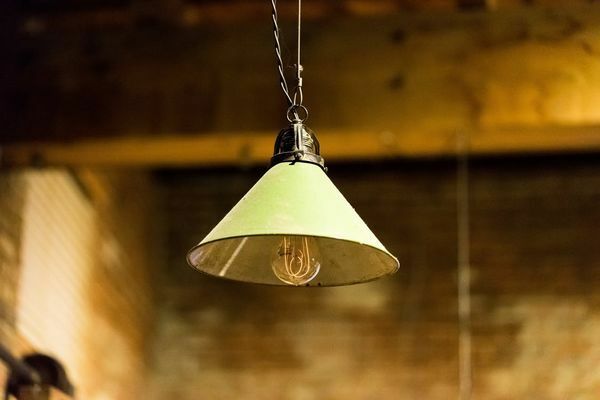 Indeed, industrial lighting was a focal point in the early stages of industrial design. The industrial ceiling lights are iconic in factory design, which is essentially what modern industrial design imitates so well. High ceilings in the factory work space made hanging lights a practical necessity. Today, this imitation of factory-style industrial lighting is popular in bars, restaurants, and in the home. Hanging vintage light bulbs, however, are the latest lighting trend to spawn from the hanging lamp. An explanation of what vintage lighting consists of cannot be condensed into one paragraph; it must be remembered that 'vintage' is not a specific style, although it does has prominent characteristics, which are highlighted in many of our articles. 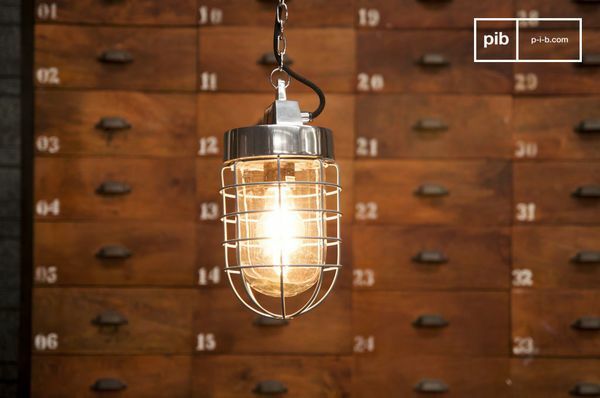 Vintage lighting is popular in numerous interior design styles, including industrial, Scandinavian and shabby chic. Vintage lighting in each of these interior designs will be incorporated very differently, possessing different characteristics. The newest vintage lighting craze revolves specifically around exposed, hanging, industrial, factory style vintage light bulbs. industrial lighting in the field of contemporary design therefore consists primarily of the characteristics evident in the photos selected for this article. 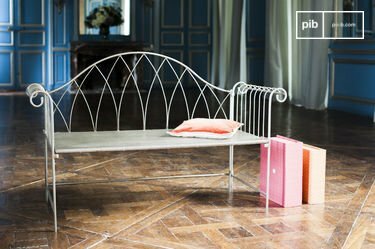 Normally, this is the part of the article in which we talk about a range of vintage materials, ranging from natural woods and recycled elements to retro age vintage fabrics. This is not applicable to vintage light bulbs. It is the simplicity of this interior design craze that makes them so appealing, and so easy to incorporate within the right atmosphere. I could speak for hours about the materials which fabricate a light bulb, but apart from those, the main materials in play here are glass (for the exterior of the bulb) and plastic or metal for the hanging cable. Simple, yet aesthetically pleasing. There has not been any major change in material use. These modern lights replicate previous designs, so it is certainly within the interest of designers to maintain a degree of materialistic and stylistic authenticity. 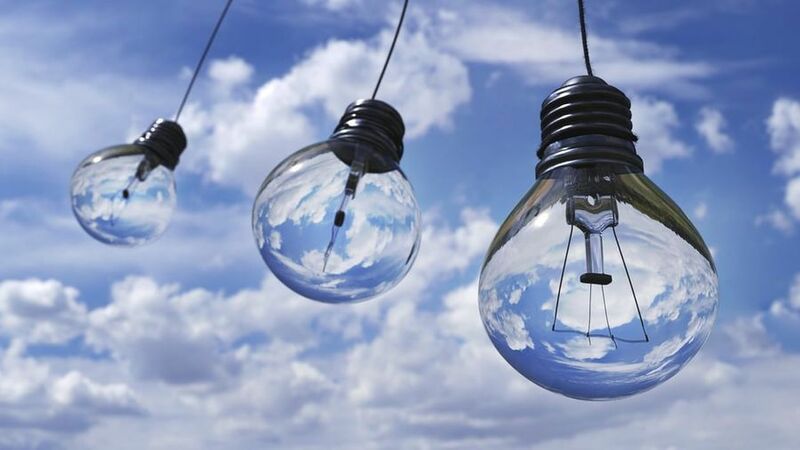 Modern light bulbs are able to preserve more energy now, and energy saving lightbulbs actually conform to the vintage light bulb trend very well anyway. A dim, warm light replicates industrial factory lighting. As discussed in the previous paragraph, vintage interior lighting has not changed a great deal because today, the aim is to replicate previous designs into contemporary interiors. If the design is brand new and innovative then it cannot be strictly 'vintage'. Nevertheless, there has been a degree of transition. Indeed, this article focuses on the focal point - vintage light bulbs. 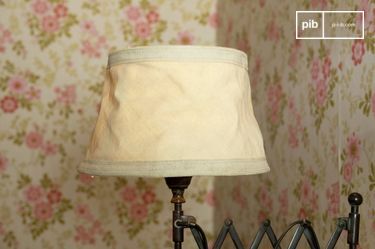 In many interiors, the lampshade has disappeared entirely and it is replaced by, well, nothing. 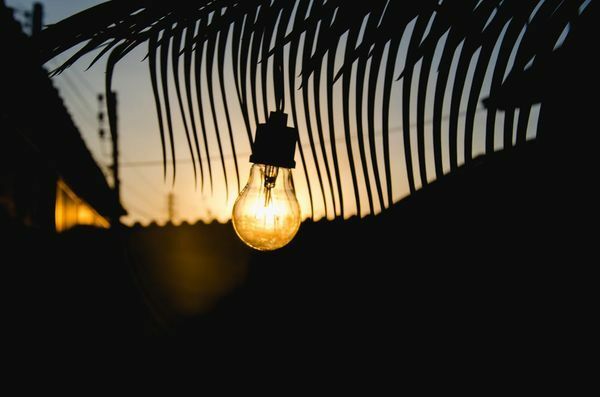 The hanging vintage light bulb, without a shade or base, epitomises the contrast of old and new and is the greatest sign of lucid (in both senses of the word) transition. 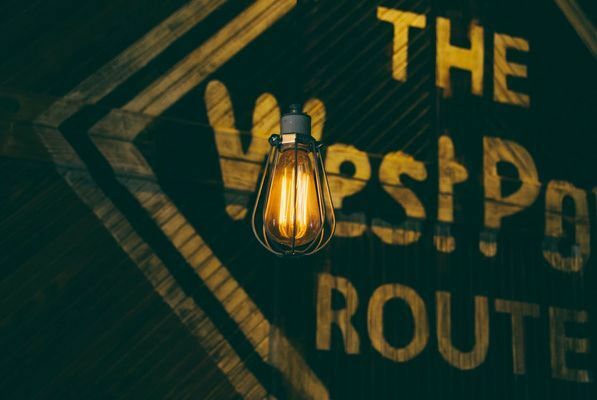 The photos selected in this article demonstrate how easy it is to replicate an industrial, factory style ambience with the incorporation of the vintage light bulb, and a selection of hanging vintage light bulbs. 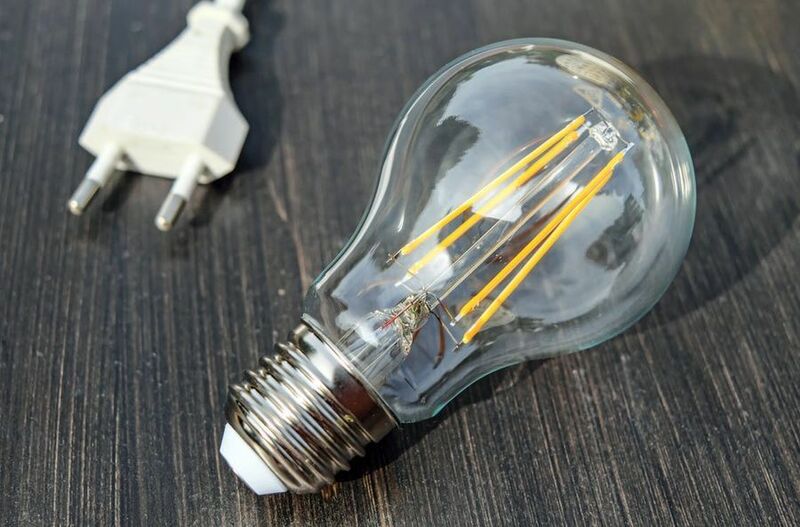 Although vintage light bulbs can be seen in a range of interior design styles, it is most popular in the field of industrial design. This design is created primarily with large, open space and an equal balance of metal, wood and glass. 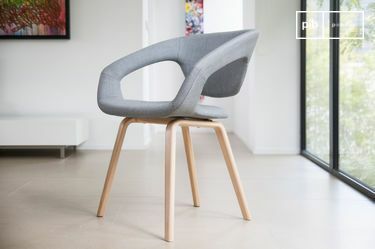 Other materials often incorporated into an industrial design space include concrete. The photo below shows how to mix glass and concrete on a hanging light. 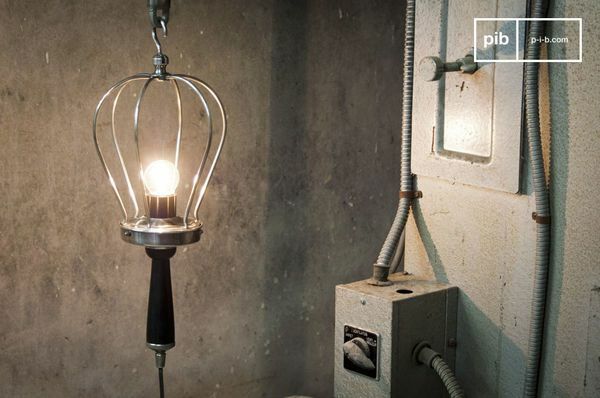 Vintage light bulbs are the latest trend in the field of industrial design. They bring a touch of the past to the present and they are a long term solution for large interior spaces. 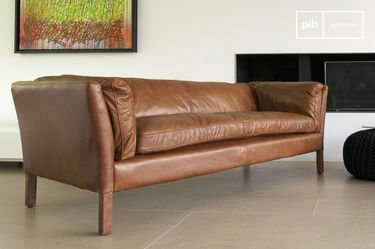 The simplicity of this design makes it favourable in contemporary interiors, but it is also popular in older interiors with exposed brickwork. 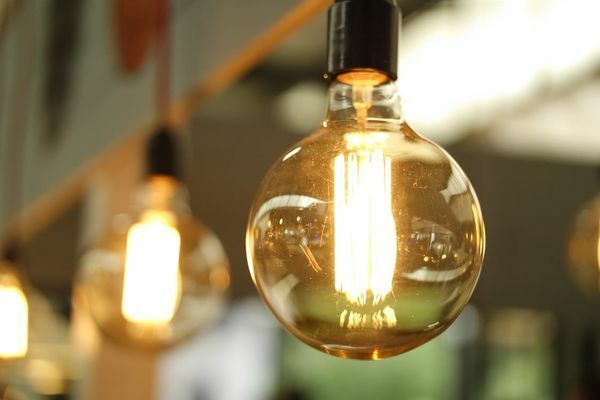 If you are interested in incorporating vintage light bulbs into your home, start with a row of three of four in a small space and go from there. Remember, hanging vintage light bulbs easy to implement but they should only really be incorporated into industrial spaces.